Dwight Griffin gets 4-0 vote for clemency! On December 7th, attorney (and SCP board member) Jennifer Horwitz presented before the Clemency & Pardons Board on behalf of her client, Dwight Griffin. Ms. Horwitz described a man who struck out on drug-related robbery charges, but who has made a remarkable turn around, staying clean and sober, remaining dedicated to his family, and praying for a chance to redeem himself. Mark Roe, the Snohomish County Prosecutor, appeared in person to describe his positive interactions with Dwight and Dwight's family, and how impressed he was by the genuine remorse and dedication to sobriety that Dwight displays. Mr. Roe thought Dwight deserved a second chance. The vote was 4-0, in favor of recommending clemency. Tom Kelly (K&L Gates) presented before the board on behalf of his client, Charles DeFrates. In spite of a long sentence and impressive prison record, the board wasn't ready to give Mr. DeFrates a chance yet. We sincerely thank Tom for all his hard work on behalf of his client. Even when these don't have the outcome we hoped, we believe that advocating for forgotten men and women is worth it. Tim McGarry and his client, Frank Angehrn, were able to present before the board on December 8th, but due to a delay from the King County Prosecutor, we will not know the results of this hearing for several more months. Richard Kent is going home! The governor has signed off on the clemency petition of Richard Kent, who was represented at his hearing by a team from Lane Powell. He has a slow step-down process that should be completed next year. Thank you to everyone who came out in support of SCP! We had a great time at Impact Hub, got to eat some incredible food by Fare Start, and heard from two people who are deeply connected to the issue of clemency, Nick Brown and Sheryl McCloud. It was a wonderful night. Thank you so much for your support! The SVP Fast Pitch FINALS ARE HERE! Tomorrow, Tuesday the 24th, we'll be presenting the idea for the Seattle Clemency Project to a crowd at McCaw Hall! 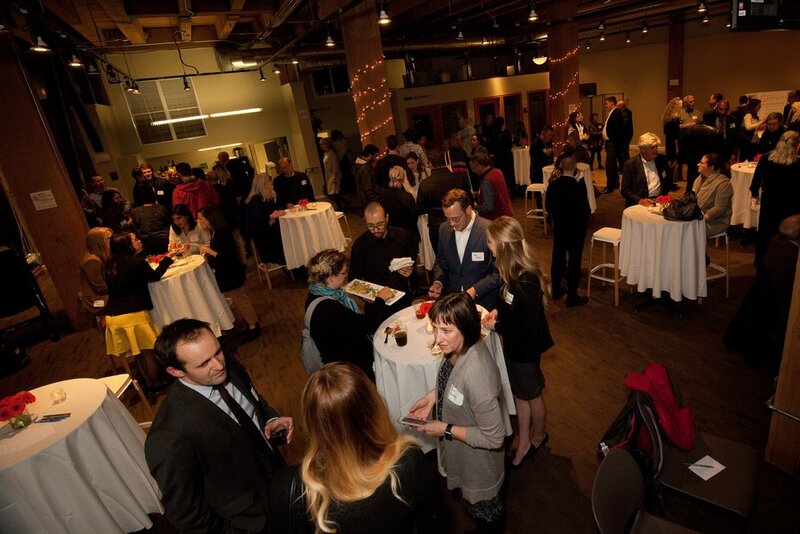 Please join us and support the social innovator community! Please join us for our FALL HAPPY HOUR! 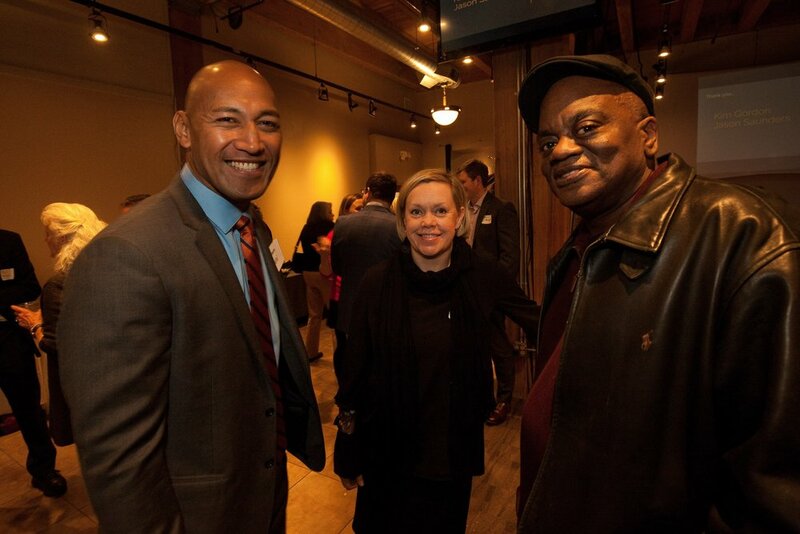 Please join us for a happy hour in support of the Seattle Clemency Project! We're thrilled to have Nick Brown, the former counsel to Gov. Inslee and current partner at Pacifica Law Group, and Supreme Court Justice Sheryl McCloud speaking on their experiences with clemency. Wine and appetizers will be served by FARE START, because everything is more fun with wine and appetizers. See you at Impact Hub, November 2nd, 5-7 PM. Our organization is celebrating nearly two years in existence and some big accomplishments! - Over 50 men and women now have FREE legal help, allowing them to create a compelling and convincing petition for clemency. - Over 50 attorneys have stepped up to help, with firms like Foster Pepper, Perkins Coie, Williams Kastner, K&L Gates, Karr Tuttle, Stoel Rives, Lane Powell, Miller Nash, Davis Wright Tremaine and more signing on. - 15 petitions have been submitted so far... we're waiting to learn if hearings have been granted. (Fingers crossed!). The rest of our clients/attorneys are working hard, getting petitions ready, and most will be submitted in the next six months. - 6 clients have received hearings... 3 received the support of the board. - We've heard from over 250 inmates so far, so we're just scratching the surface. Help us fund the operations of our program! We hope to hire a full-time executive director and paralegal, and be able to retain a private investigator to track down hard-to-find documents and a mental health expert to give us evaluations of clients. SCP is a Fast Pitch Semifinalist! We're excited to announce that we made it to the semifinals for Social Venture Partners' FAST PITCH competition! Next stop is a pitch on October 3rd in downtown Seattle. We hope to make it all the way to the finals at McCaw Hall, but even making it this far is a big honor. Mark Bartlett and Rachel Herd of Davis Wright Tremaine appeared before the Clemency and Pardons Board on September 8th, on behalf their client, Robbie Burton. Robbie is a three striker who has been in prison for 21 years and has completely turned his life around. Thanks to Mark's and Rachel's advocacy and preparation, the board saw Robbie's transformation and his potential, voting 3-1 in favor of clemency. Thank you, Mark and Rachel! We also had another client, Ronnie Jackson, appear before the board, represented by Jon Zulauf. Ronnie has been in prison for over 20 years, and the board members were impressed by his focus on education and reading, as well as his dedication to teaching conflict resolution. He's also got an incredible support network waiting for him outside of prison. The board split on his prison record, ending up with a 2-2 vote. We're not sure where it will go from here, but we've already been in touch with the governor's office, urging them to really consider Ronnie. We're thrilled to be participating in the Social Venture Partners' FAST PITCH program this year! We're one of the Nonprofit Startup Quarterfinalists. We'll be pitching the idea for our organization to judges on September 11th, trying to advance to the semifinals! Being a part of this gives us some great tools... coaches, networking, pitch practice, and most of all: funding! If we make it all the way to the finals, we'll be pitching at McCaw Hall in October. More info soon about how you can purchase tickets to support our nonprofit, as well as many other great causes. First Fundraiser and next steps! We were so grateful to those who came out and donated at our first fundraiser last week. It was so exciting to get to tell you a bit more about our project, the folks you are helping with your donation and our next steps. After the Thanksgiving holiday, we're kicking into gear on a few things. December 8th is the next meeting of the clemency board and Jon will be there to represent a client and speak before the board. We have our fingers crossed. Jen and Emily are off on a two day prison visit at the same time, visiting Walla Walla and Coyote Ridge. We're squeezing in as many meetings as we can, though we'll still have folks we can't get to this round. Hoping this visit gives us a new batch of great clients that we can try to match with attorneys. Zane has been busy on the reentry piece of the puzzle and that will continue into the holidays. We are always looking for suggestions for reentry organizations that we should have on speed dial, so please reach out to us if you know of one. Finally, Jen and Jon will be teaching a seminar on clemency petitions at Foster Pepper. We are grateful for all the work they've done in promoting and hosting this event. Thank you! Hope everyone has a wonderful Turkey Day. We are getting set up in our new space at the Madrona Refuge! Please note our new address: 1126 34th Ave, #314, Seattle, WA 98122. We have one table, several boxes and no internet or heat yet, but we couldn't be more excited to get to work. Success with the clemency board! We're thrilled that the board has recommended clemency for Gary Thomas! He presented a clear, measured, thoughtful and compelling petition with the help of his counsel, Jon Zulauf, and with the support of Seadrunar and Thomas' son. We are waiting for the governor's response and are hopeful about Thomas' future. More updates when we have them!